A Houston couple turned their favorite countryside spot into a retreat for shoppers at the famous antique show. 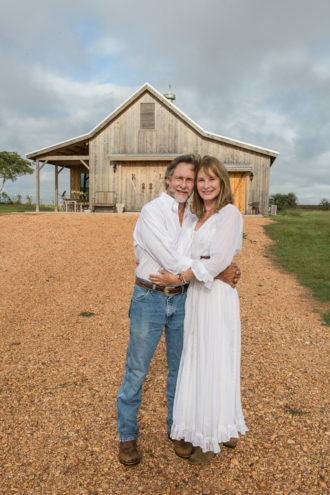 Rob Rosenbaum and Linda O’Neal have been escaping the hustle and bustle of Houston for their countryside home in Greenvine, just eight miles from Round Top, for the last 7 years. Located on the highest point in Washington County, the hilly topography affords gorgeous views, and the privacy allows Rosenbaum, a chiropractor, and O’Neal, a nurse and skin care expert, to unwind. In 2014, they opened the doors to their first bed-and-breakfast space on the property—The White House on the Hill. Rob and Linda’s expert advice for when and where to dig. Shop the fields patiently as there are treasures that can be overlooked. Often times pieces in the fields will show up in the more expensive venues days later. Things can change hands three to four times before they reach their final booth. Shop early, shop early, shop early! The early times are anywhere between Sept. 15-25. The first weekend into the second week is the best time to find a great selection. We often shop dealers as they are unloading their trucks. Dealers are there to sell. Remember their list price is usually never their best price. Bargain, and don’t be afraid to walk away. Map out from the show guide where you may find the type of antiques you are looking for. 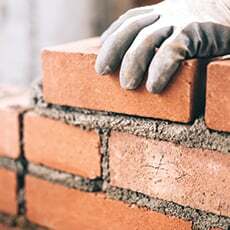 If you need delivery service, get the details of your delivery in writing. Take photos of your piece to document the condition at purchase. And finally, treat the dealers and pieces with respect. They all have their stories as do the pieces. The couple had always dreamed of refurbishing an old church and turning it into a guest house. However, coming by a church that was small enough (and on the market) was proving difficult—so they built one. “We used all reclaimed materials such as wood doors, flooring, beams—everything to make it look old,” explains Rosenbaum. O’Neal outfitted the space with luxurious comforts. Her mantra: “It better be better than my home, or at least as good as my home, or why would I want to leave my home?” The bed is bedecked with elegant linens, including Pandora de Balthazár Hungarian down pillows. (See sidebar.) Each morning, guests of the church are greeted with a breakfast basket of homemade muffins, fruit, and specialty coffee. Rosenbaum and O’Neal have also opened up their 2,800-square-foot rough cedar barn, which used to store Rosenbaum’s antique tool collection. “After a while I thought, we’re not using this barn to the full potential,” he says. The space includes two king beds, two twin beds, a full kitchen, and living area, and they’ve just completed an additional bed and bath. The property also offers multiple outdoor spots, such as a covered dining area and fire pit to enjoy the sunsets, pond, and views of the olive tree orchard. “The sunsets and sunrises are incredible,” O’Neal says.